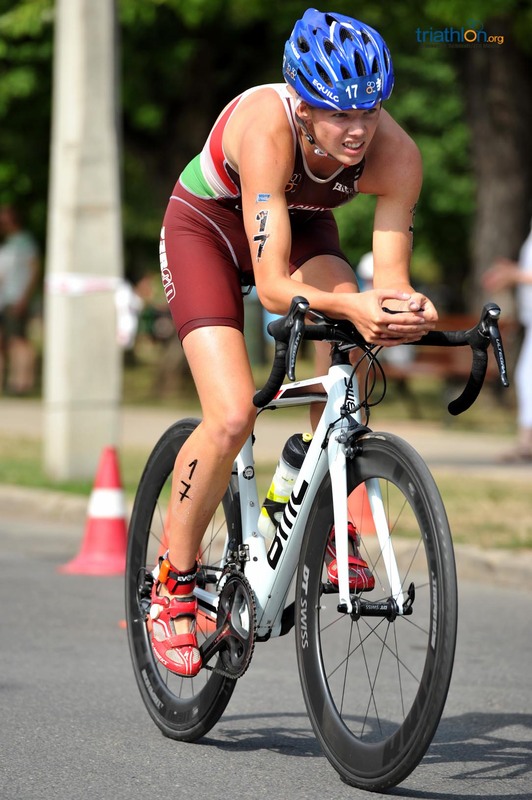 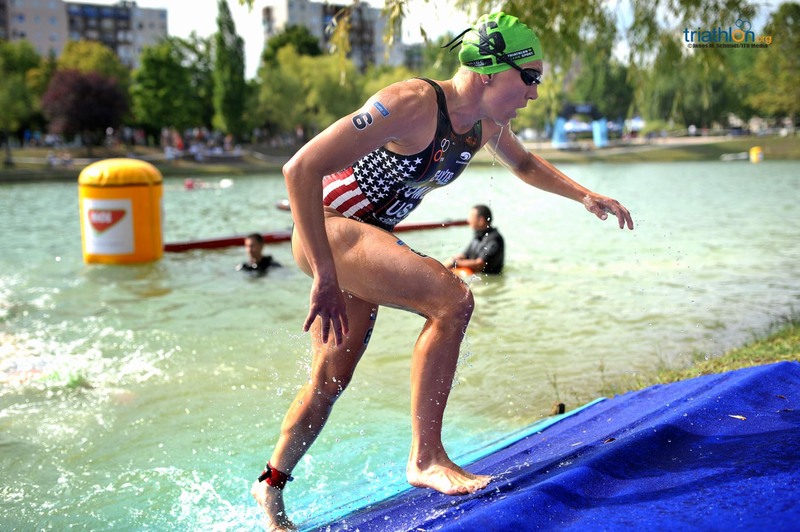 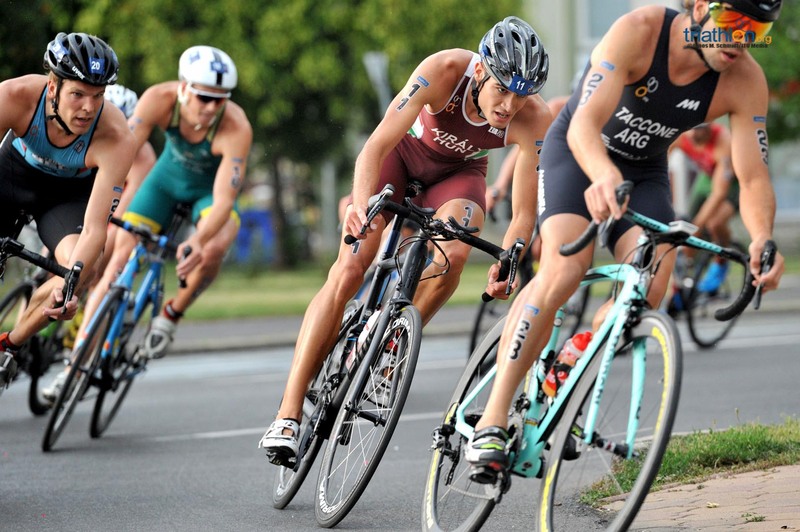 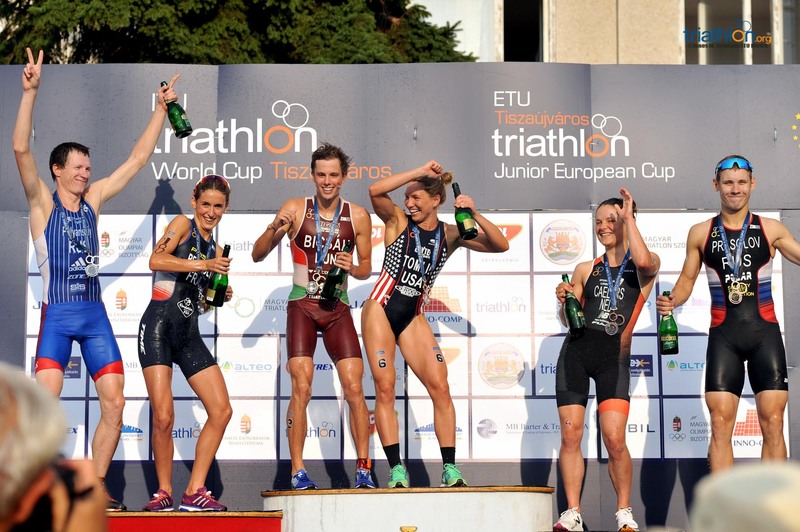 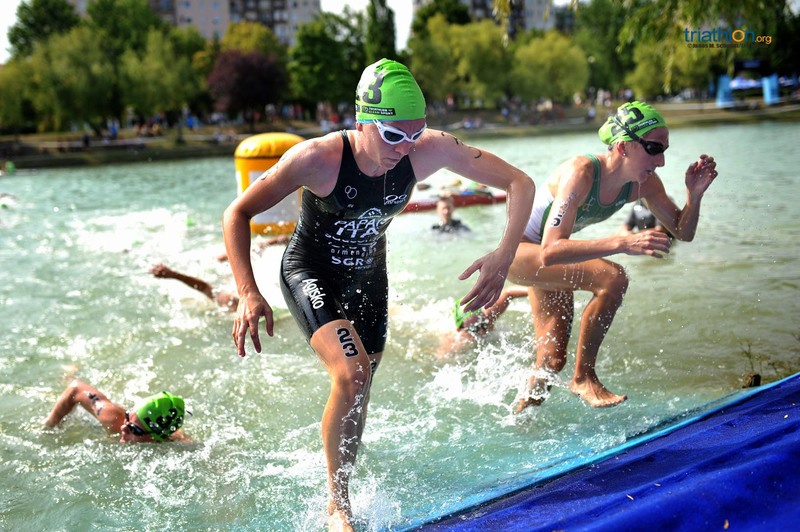 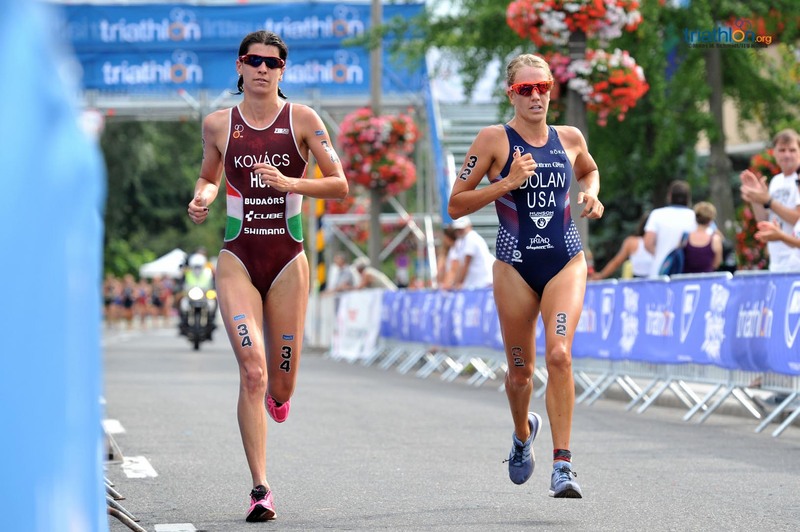 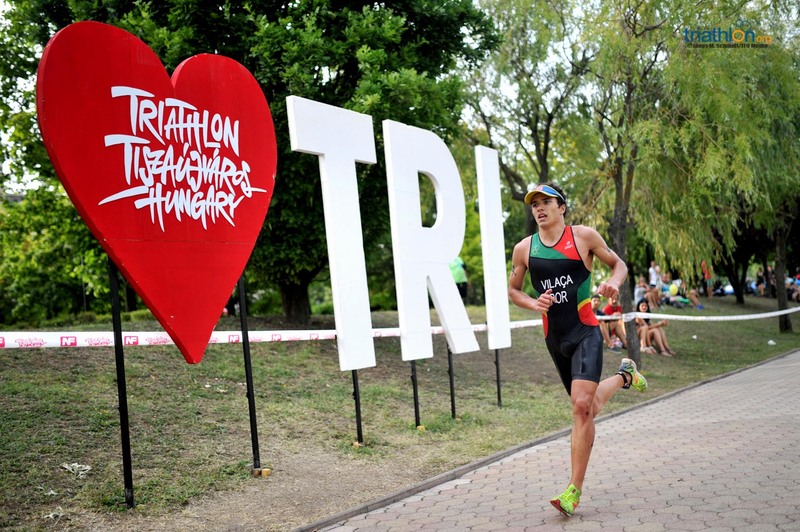 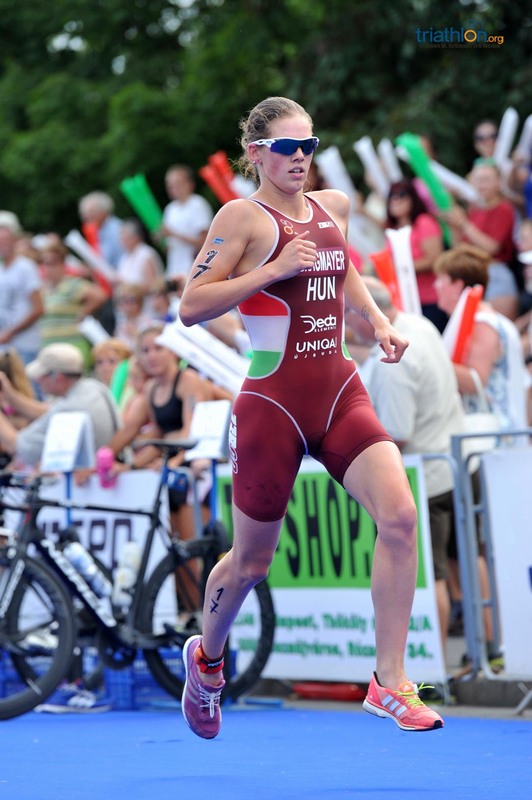 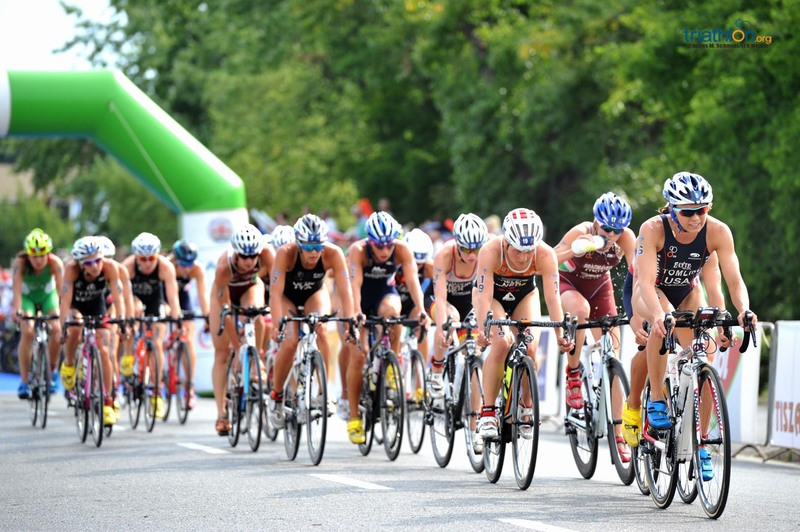 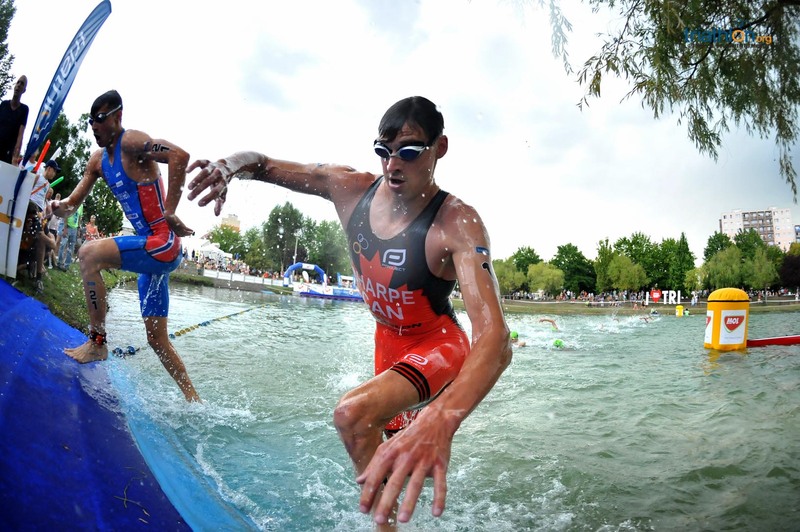 A mix of old faces and newcomers filled the podium today at the 2017 ITU Tiszaujvaros World Cup, with American Renée Tomlin claiming her second consecutive win in the emblematic Hungarian town, while local athlete, Bence Bicsak, got his first ever World Cup podium. 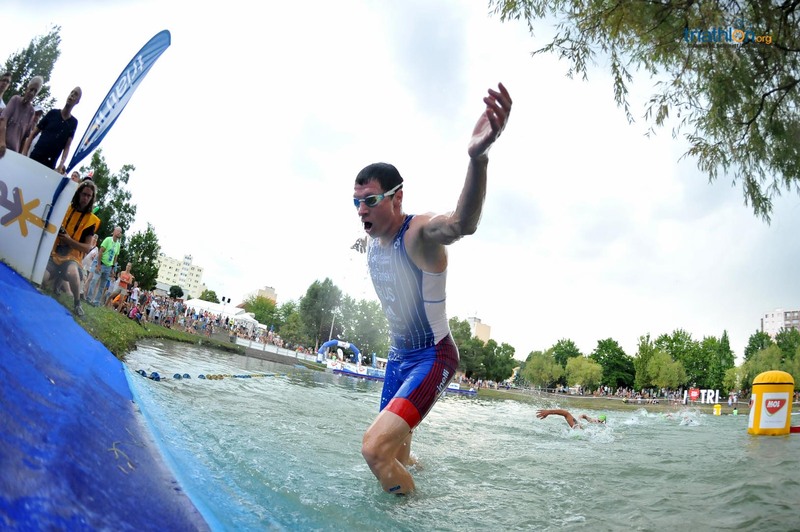 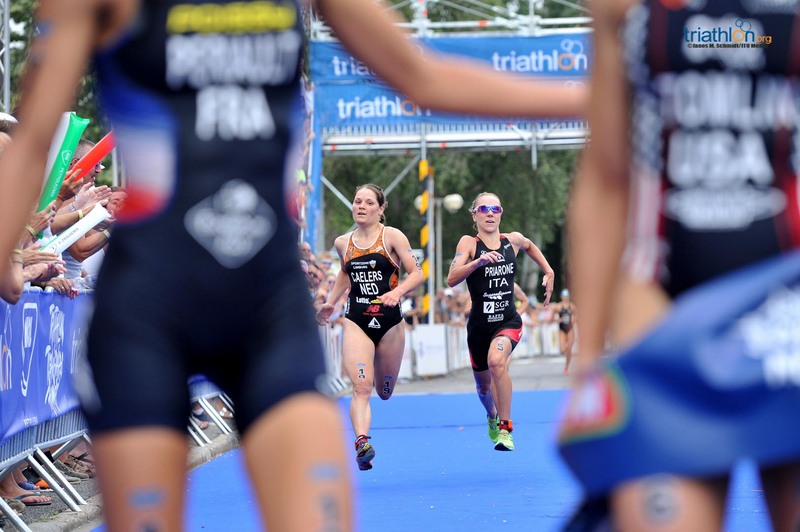 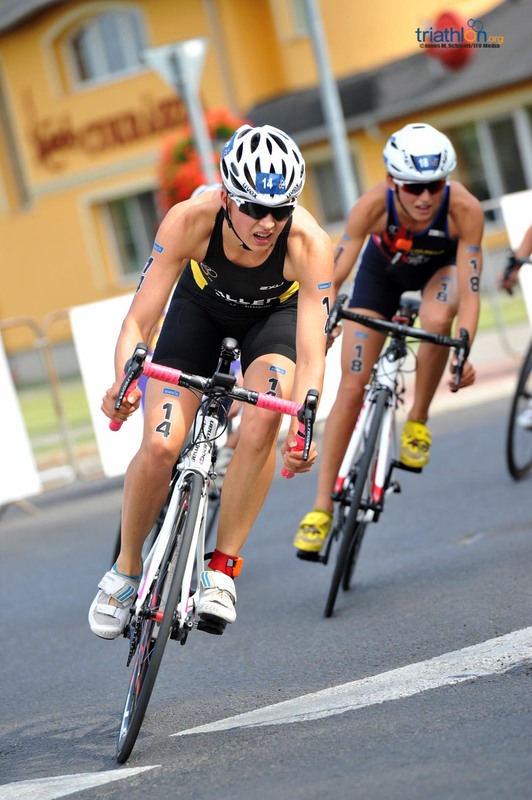 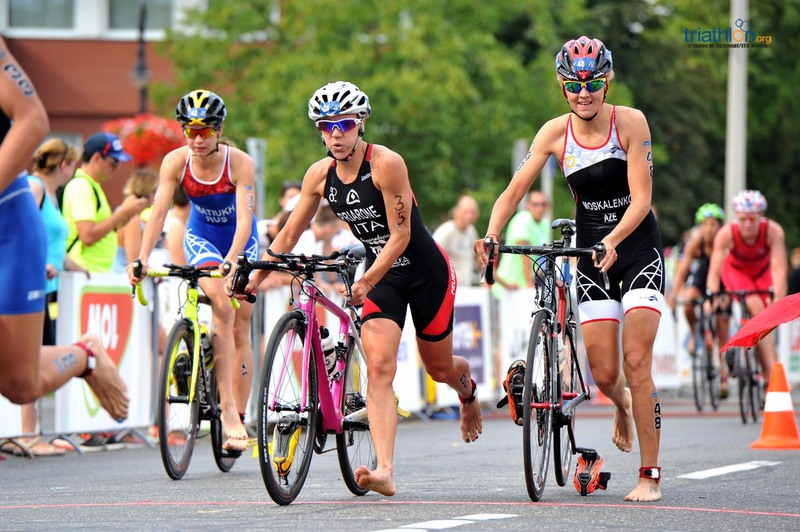 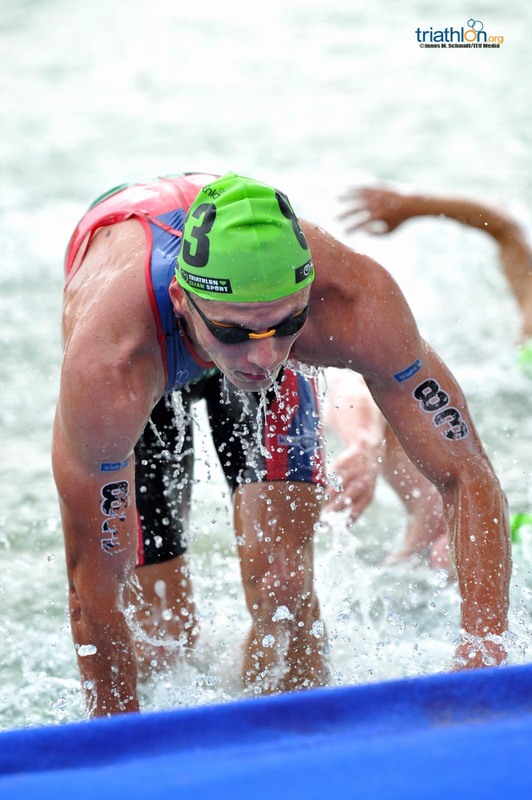 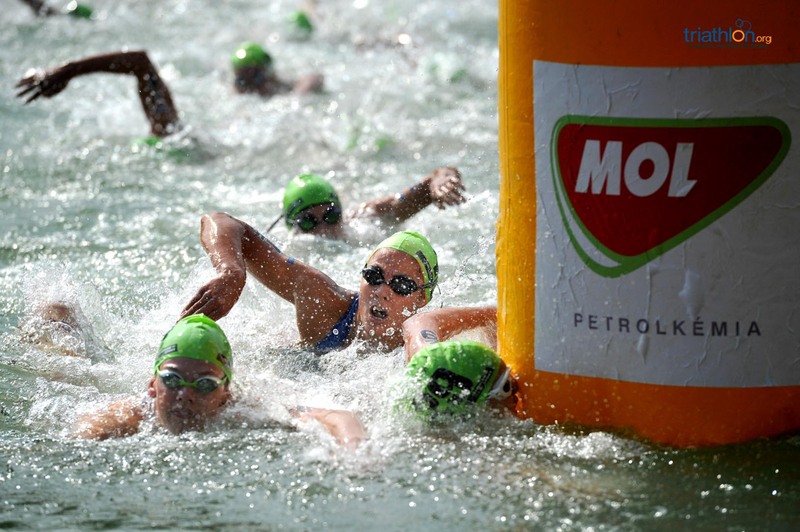 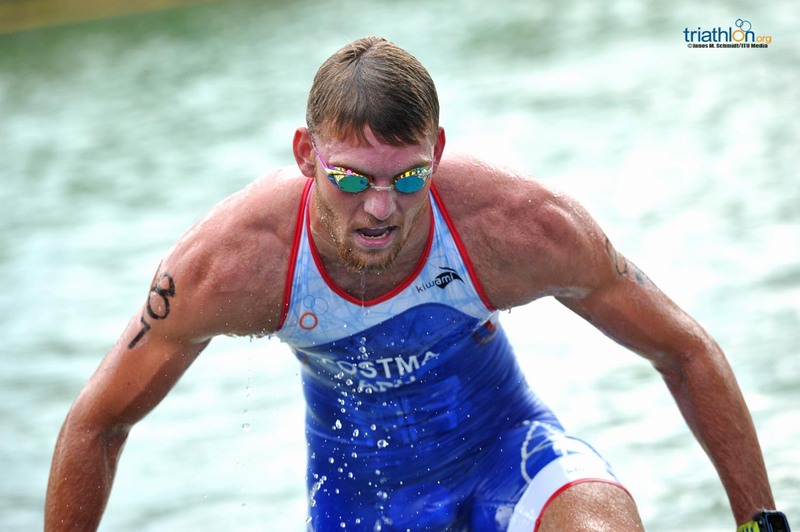 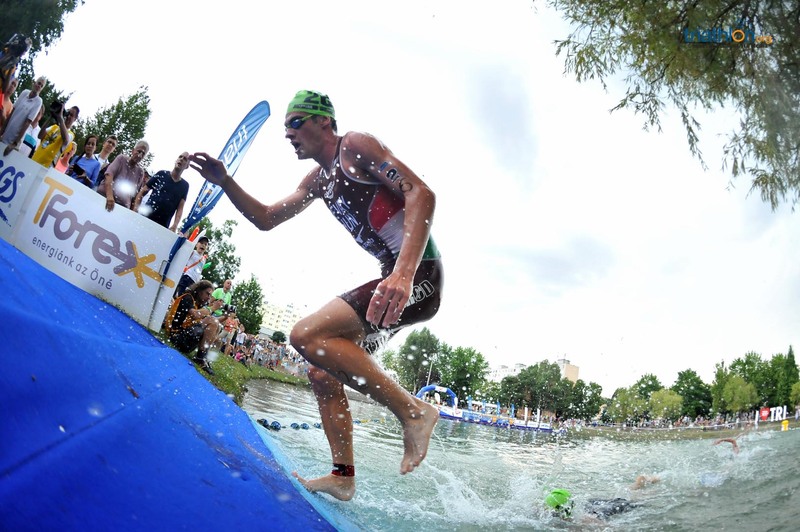 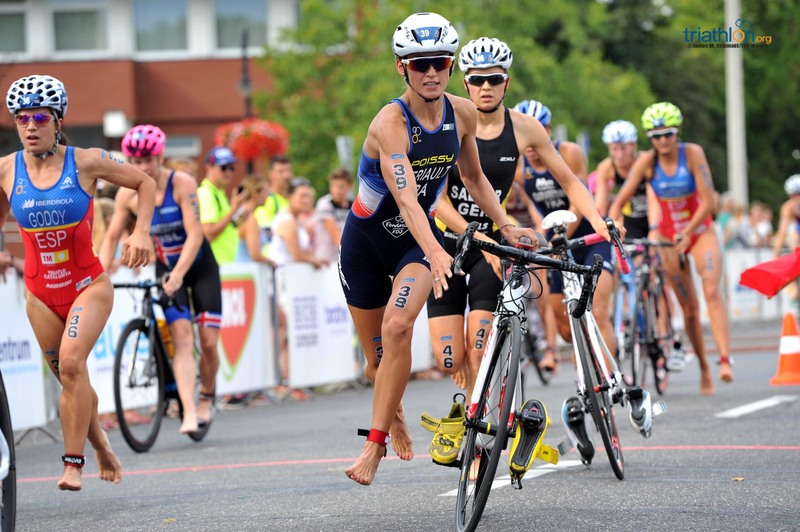 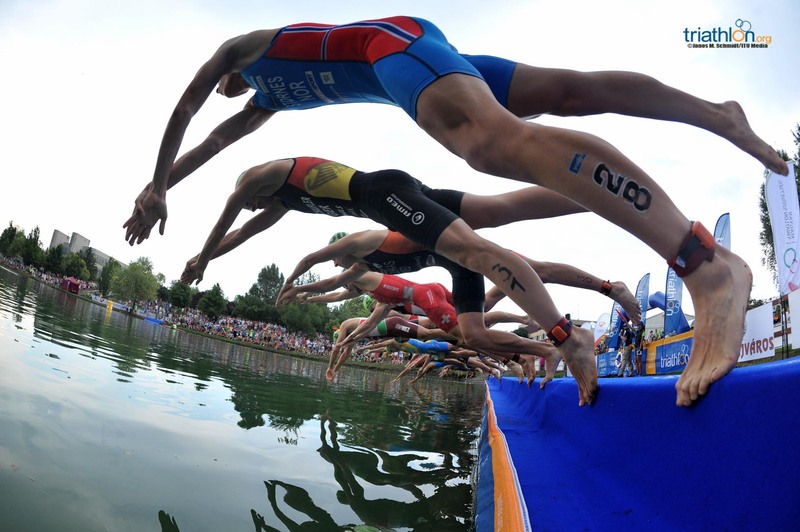 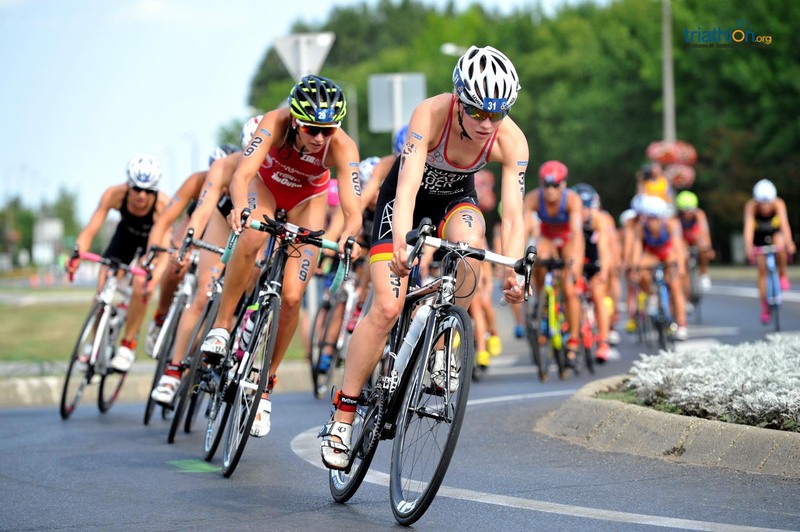 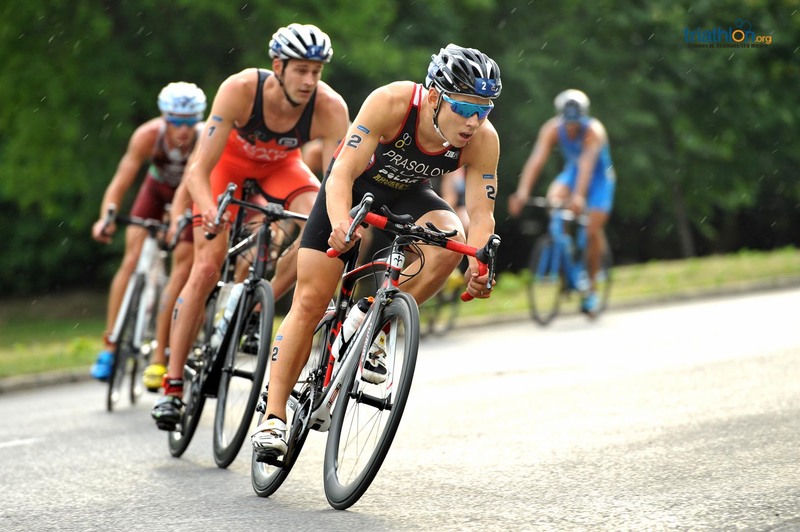 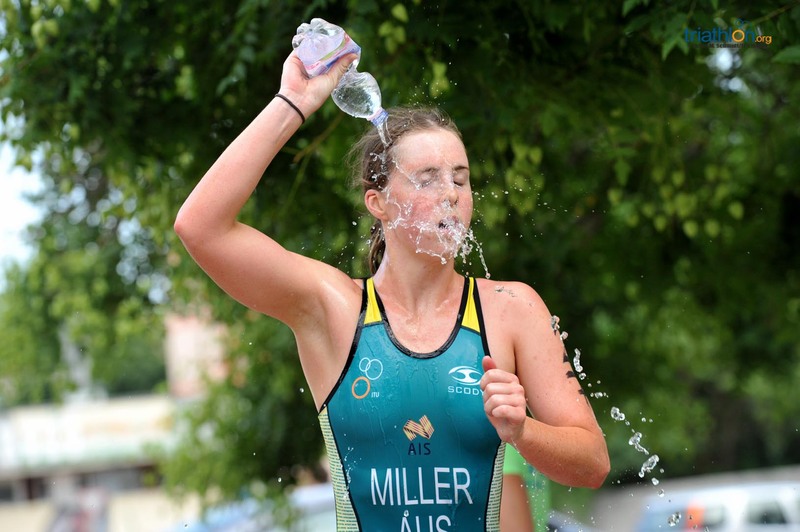 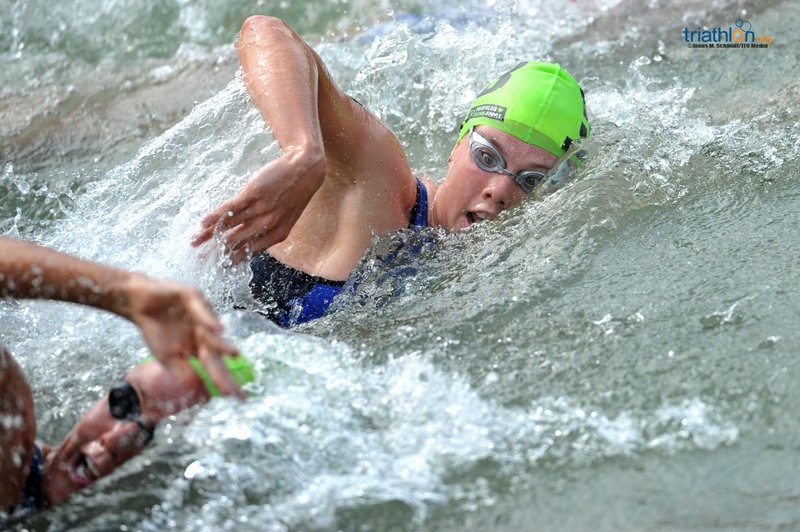 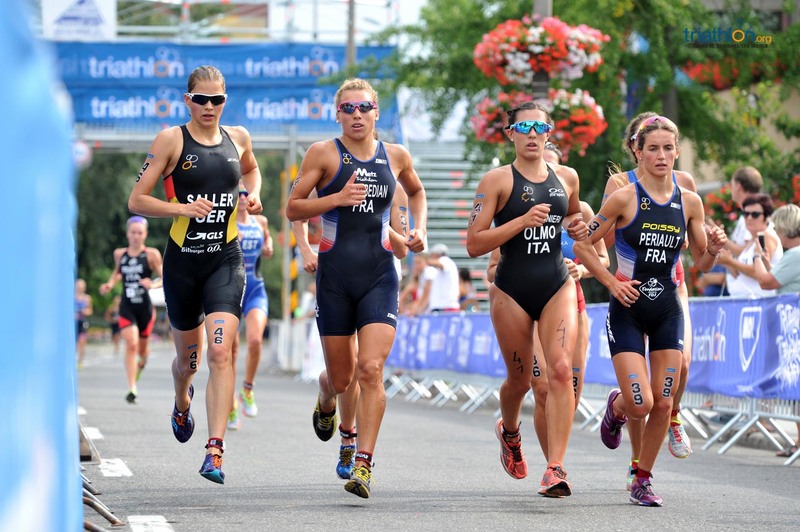 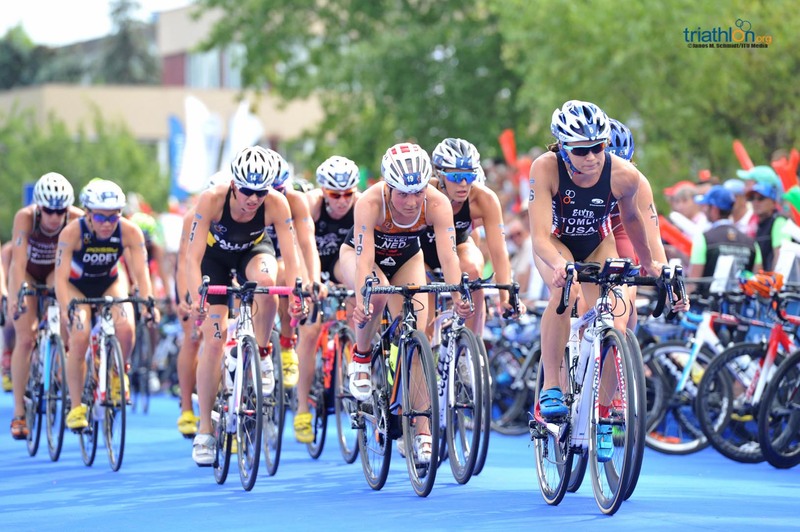 The 7th stop on the 15-part World Cup circuit this season delighted thousands of spectators, which enjoyed a whole week of triathlon which finished with the sprint Elite Finals. 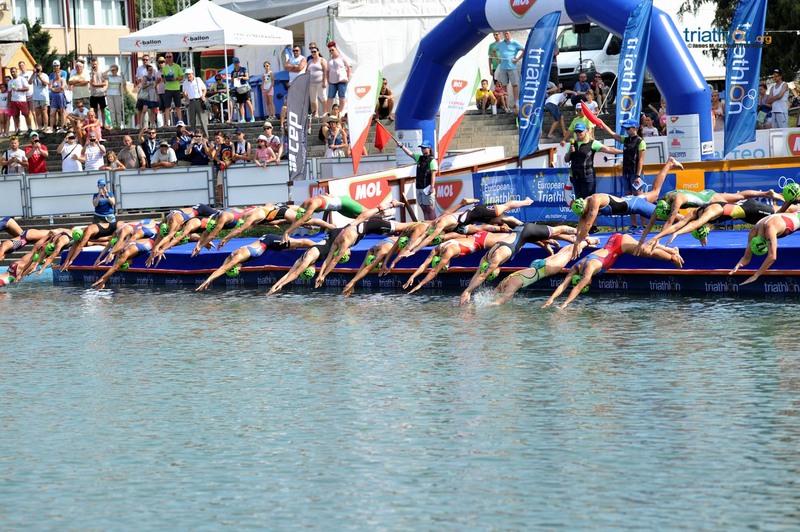 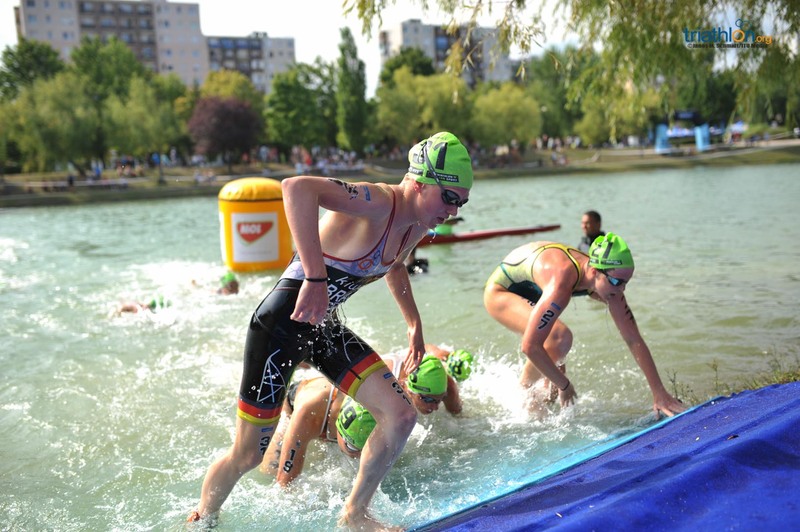 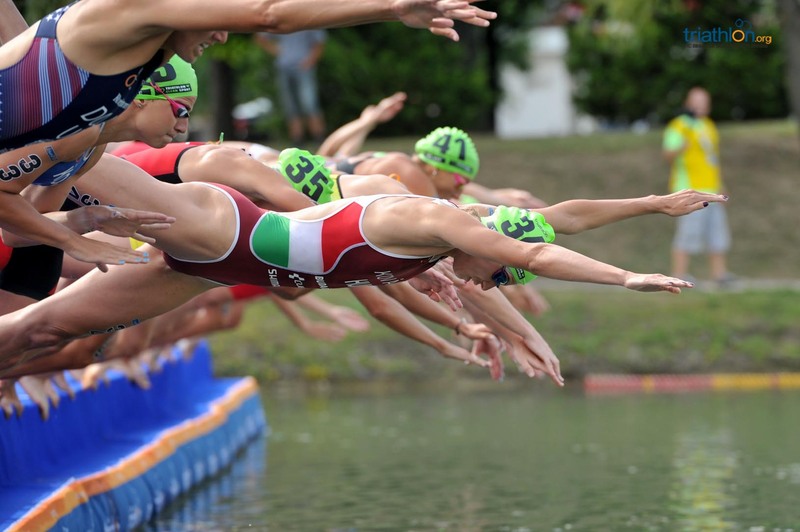 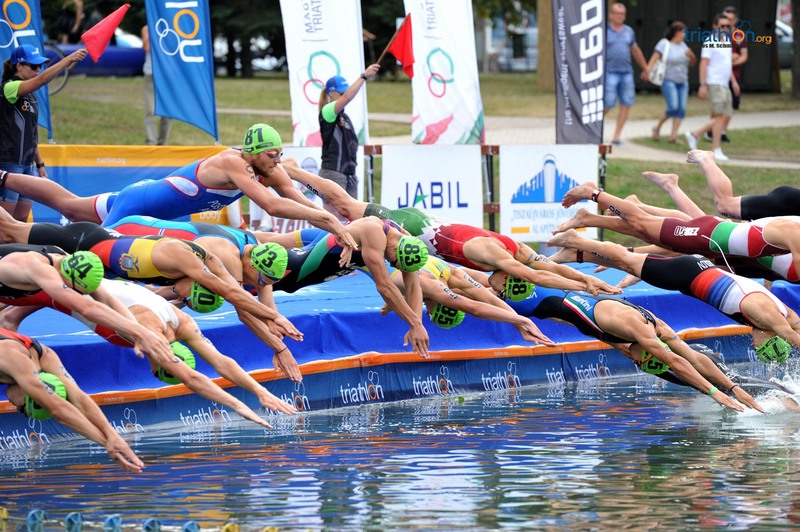 30 women dived off the Tiszy pontoon for a 750m swim on the lake, with the water at more than 28 degrees, which was the perfect set up for Spaniard Sara Perez Sala, along with Zsanett Bragmayer (HUN) and Anastasia Abrosimova (RUS) to build a small gap on the three lap course. 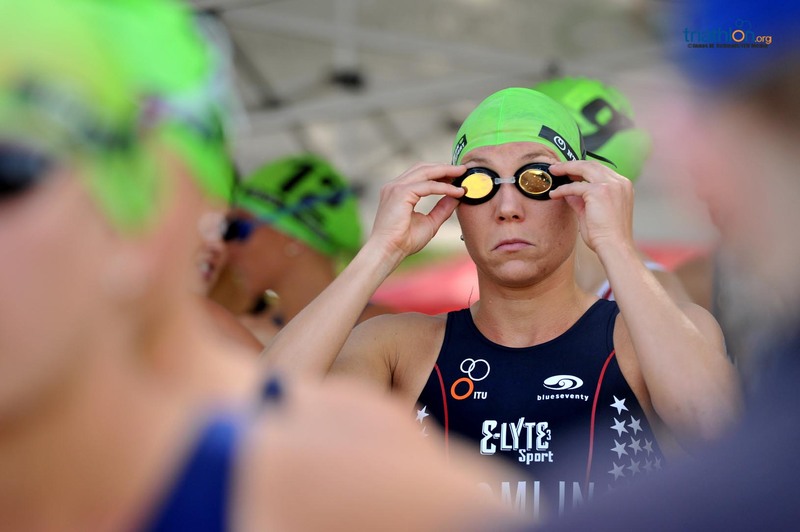 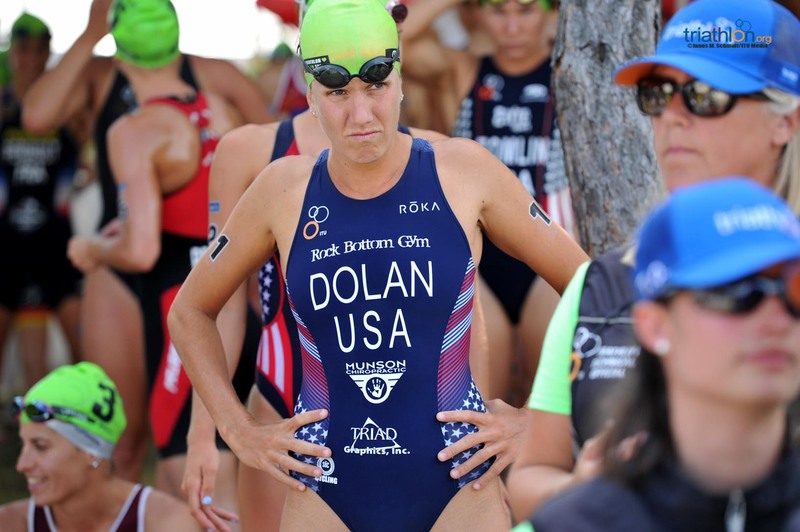 It was a very tough swim, although the three Americans, Renee Tomlin, Erin Dolan and Tamara Gorman, who were cut out of the first group that opened a small difference on the first lap of the bike. 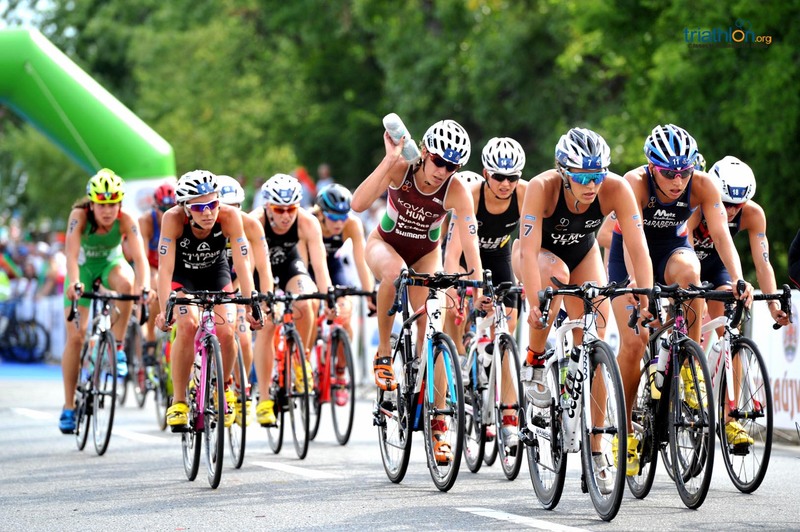 With four laps to go, the leading group was a large one, with 18 athletes, all the big names, pushing hard to get a good position for the final kilometers. 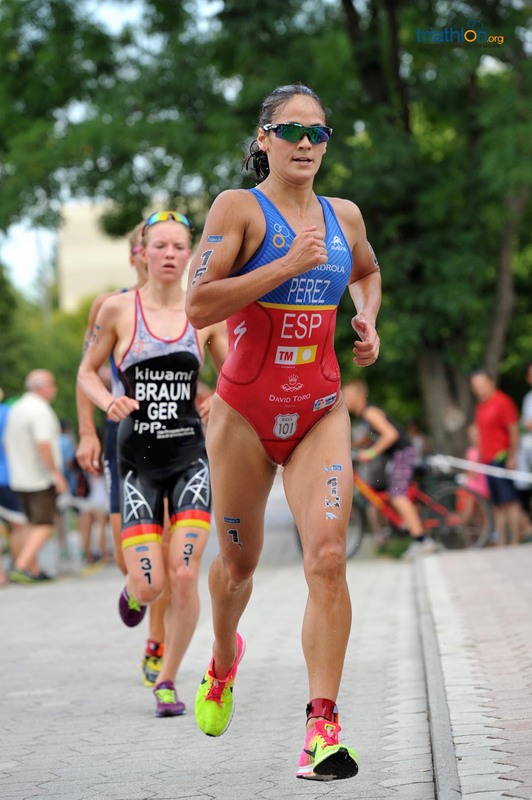 When it came to the run, eight athletes, including Tomlin, Adriana Barraza (POR), Maaike Caelers (NED), Leonie Periault (FRA) and Emilie Morier (FRA) showed that they had saved some legs for the final 5kms, and established a strong tempo, almost impossible to follow for the rest. 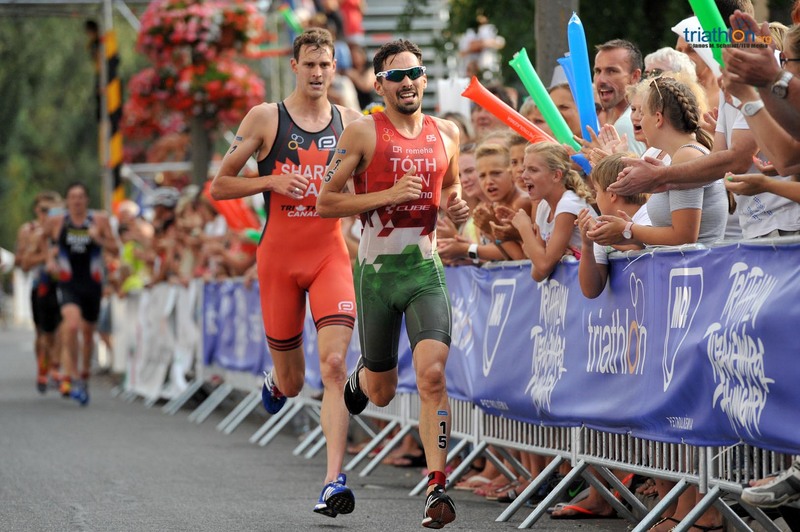 Always second and controlling the race, Tomlin sat behind Barraza in first, with Periault on the last lap. 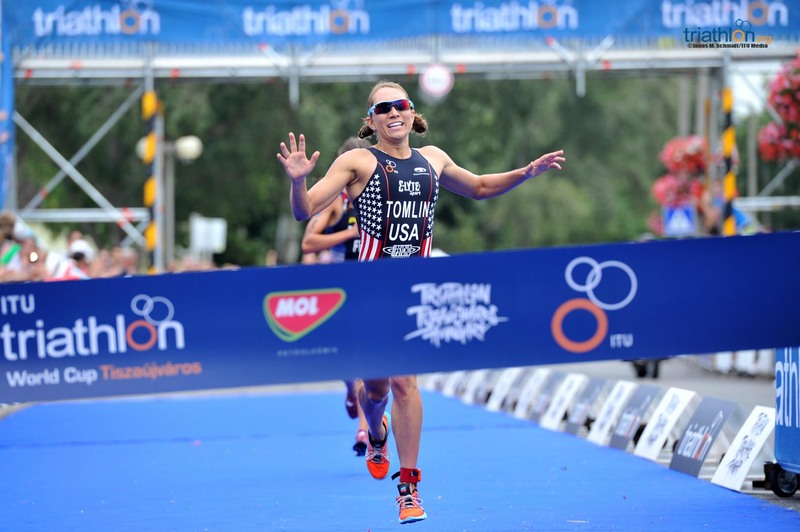 The surprise was watching the young Frenchwoman sprinting against the veteran American with only 200m to go, perhaps a bit too early, enough for Tomlin to push the final meters to claim her second victory in a row in Tiszy. 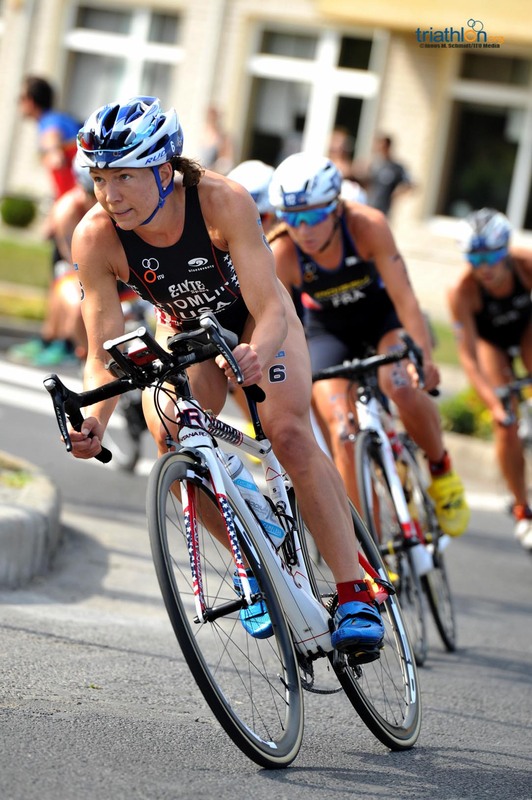 “This race means a lot to me, it’s where it all started some years ago, and I always love to come back. 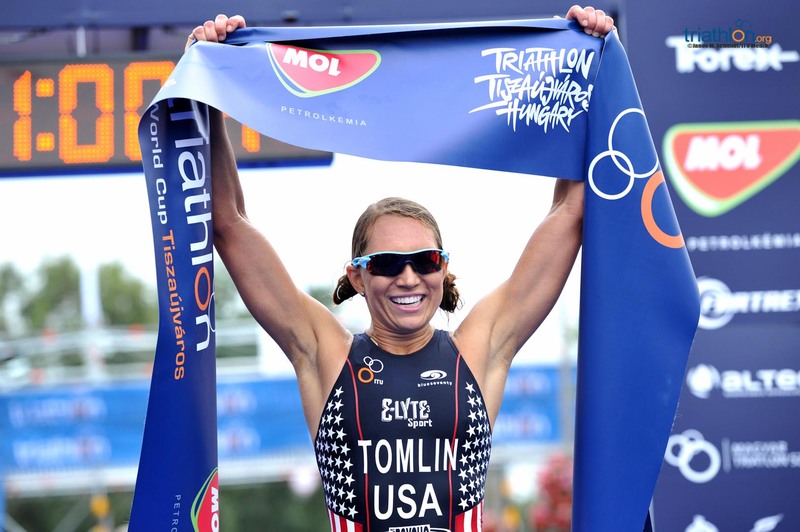 This year I felt a little more pressure on me but I still executed the race the way I wanted, so I’m very glad”, said Tomlin after her victory. 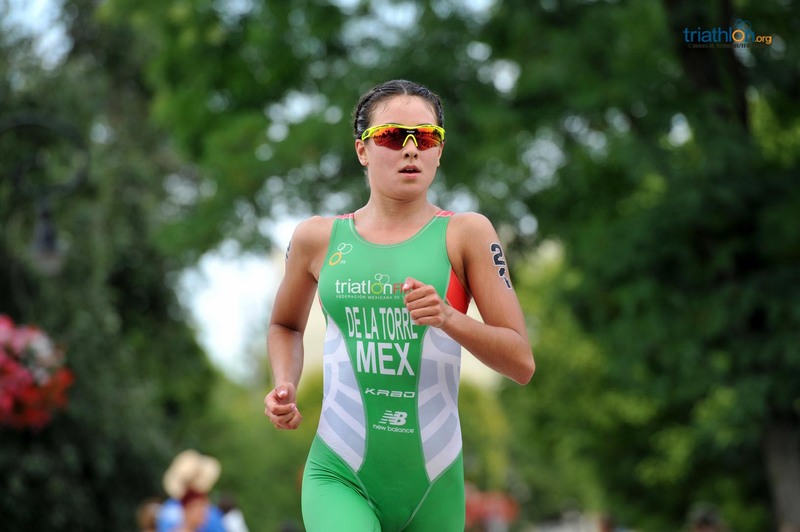 “This year I’ve changed my training schemes but I think that it’s going really well now. 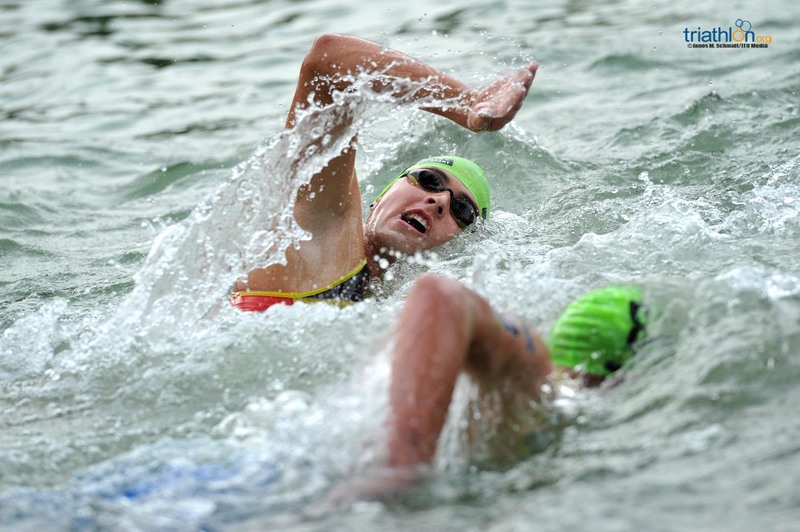 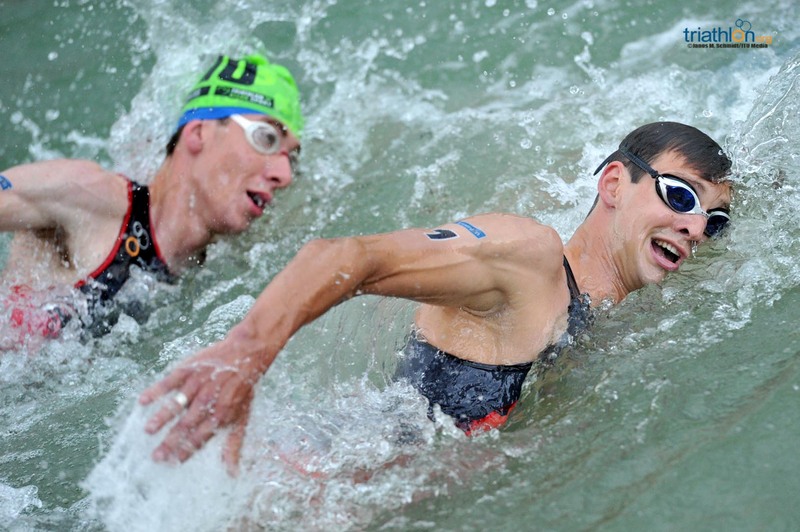 I was feeling a bit tired during the swim, coming straight from Hamburg and having raced yesterday. 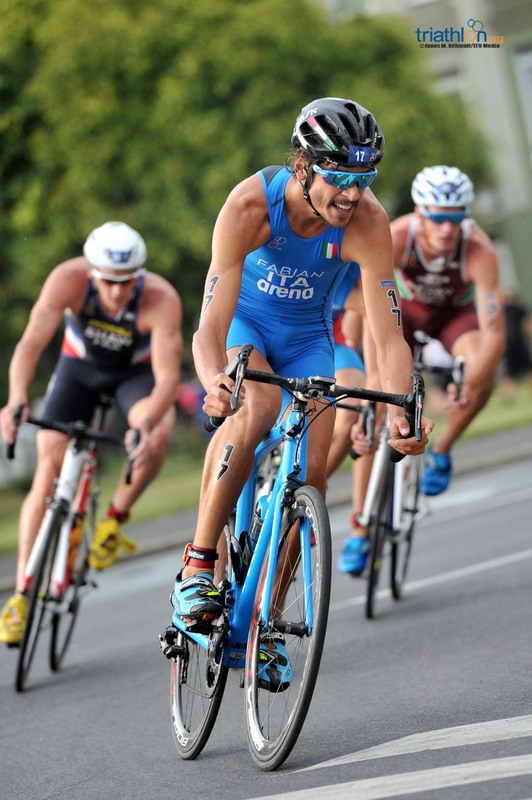 But I managed to keep my mind clear and tell myself that I know how to race this, and I executed”. 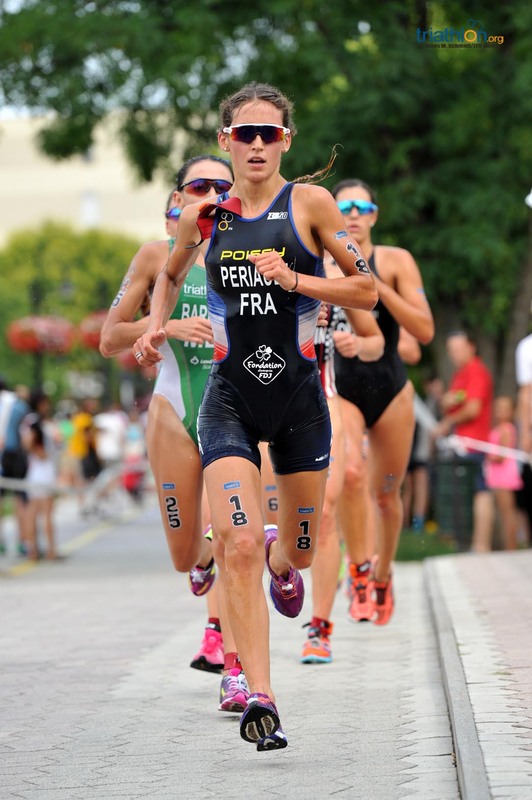 Periault finished second, her first ever World Cup podium at only 23 years of age, and even though she struggled in transition, “I realised that I had left my helmet out of the box, so I had to come back before leaving transition and I lost some seconds there”, said the Frenchwoman after the race. 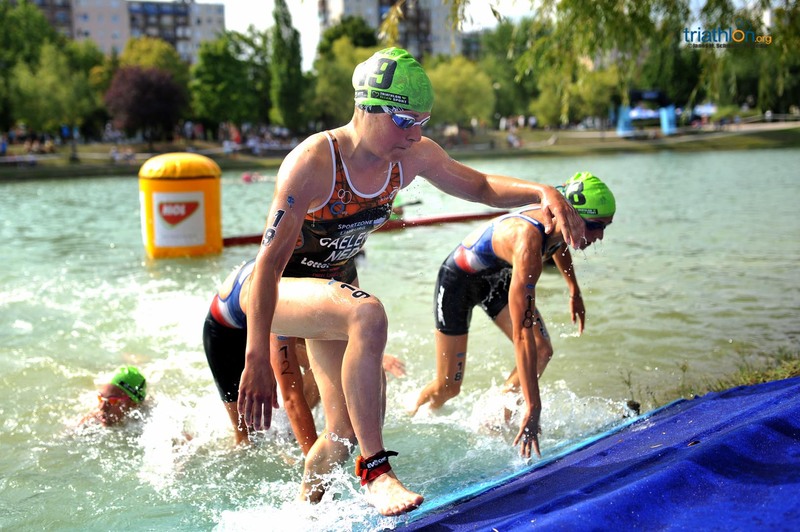 For Dutch Caelers this was her second ITU podium of the week, after grabbing bronze at the Mixed Relays World Championships in Hamburg last Sunday. 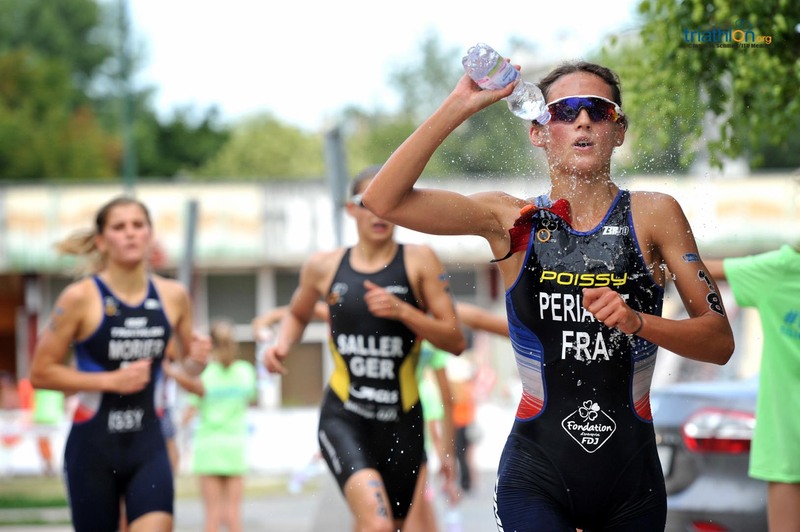 “It was a very tough fight and I had to sprint until the finish, but it worked. 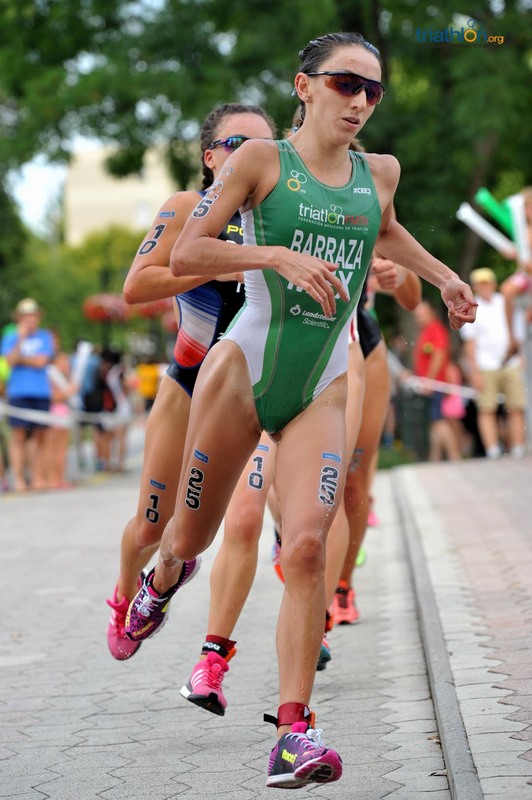 I didn’t feel well on the run, not at all, but I managed to still make it and grab some really worthy points”, she said. 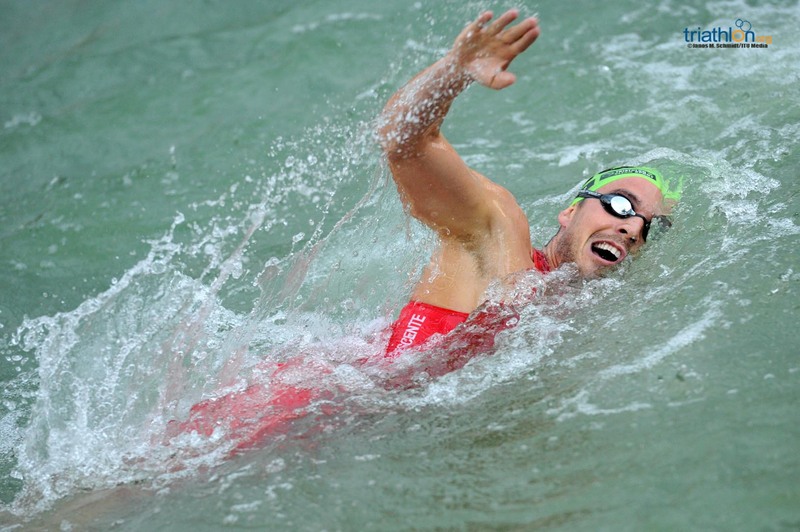 With the men having to take the start some minutes earlier to avoid the risk of lightning during the swim, it was French Raoul Shaw leading the swim since the first strokes. 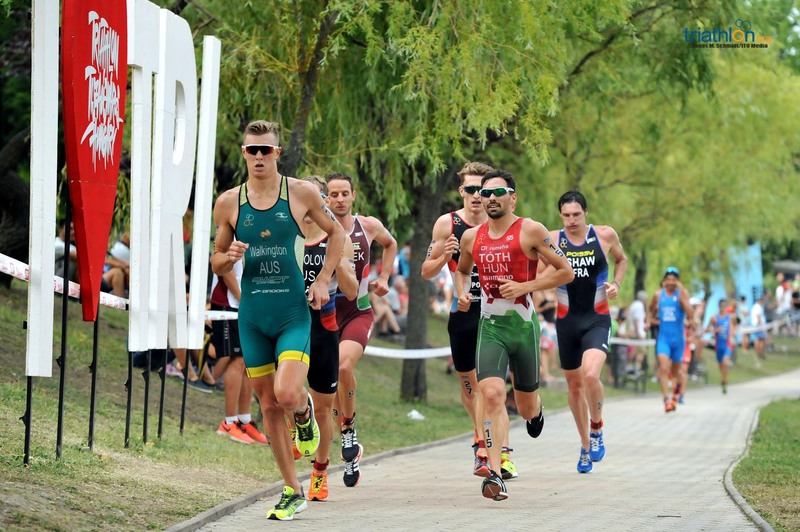 After the 750m swim, the 30 men took their bikes with a group of eight athletes, including Mathew Sharpe, Jonas Schomburg, Alessandro Fabian, Bence Bicsak and Tamas Toth among them, trying to open a gap with the chasers. 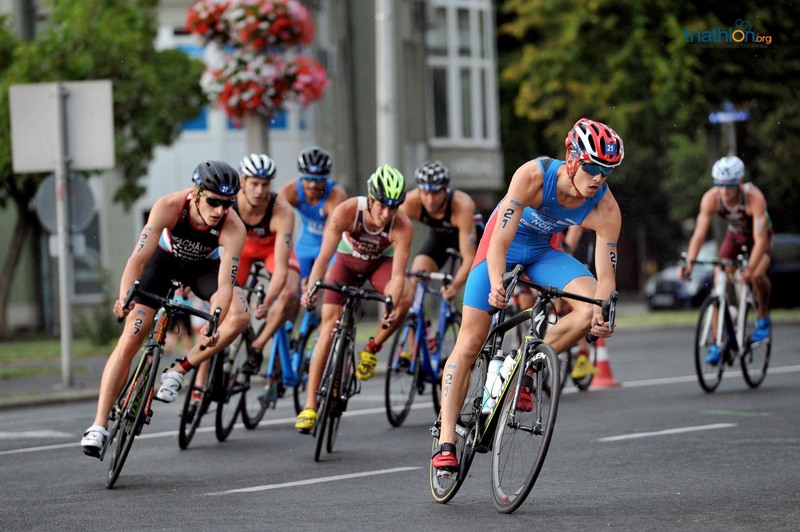 In the meantime, in the second group, a surprised Dmitry Polyanskiy at the back of the pack, working hard after a small crash to try to keep his options alive. 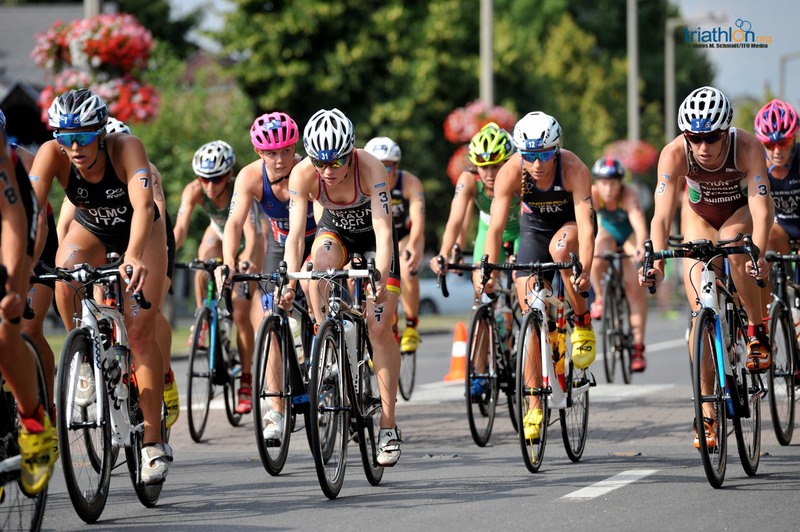 With drops of rain making the 20km bike circuit a bit slippery, both groups slowed down a bit to enter T2 almost together. 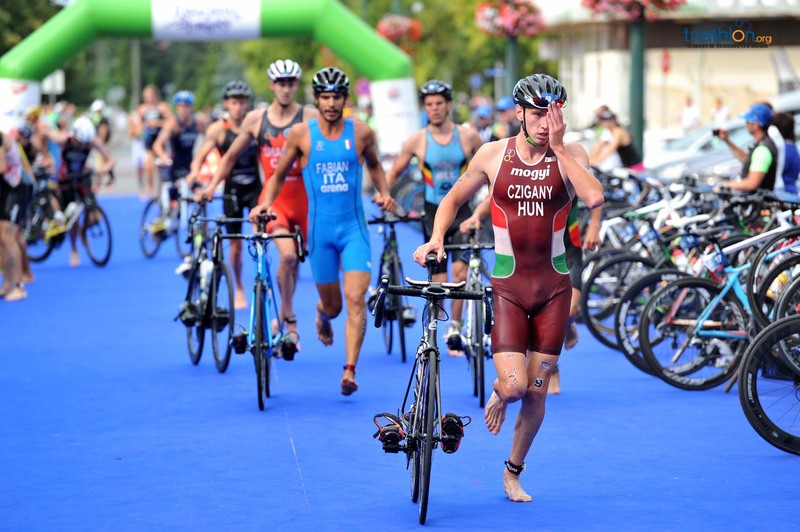 And when it all came to the run, Polyanskiy showed that he was going to be the one to beat for the second straight year in Tiszy. 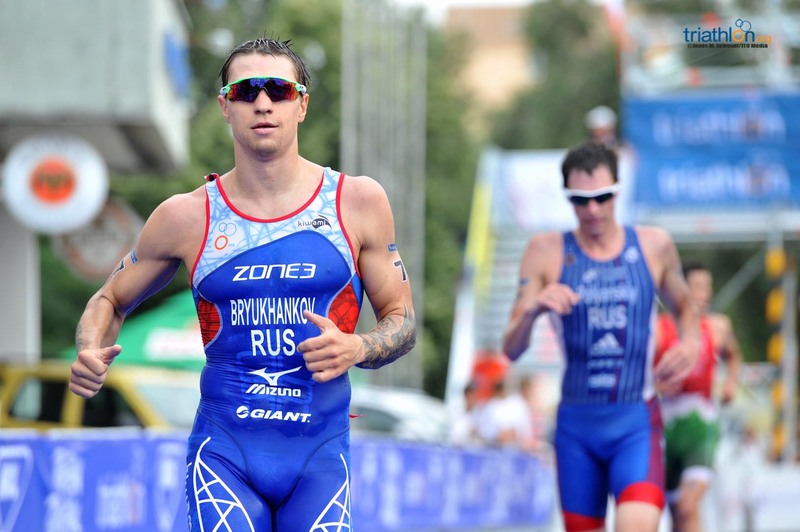 The Russian pushed hard to break the group, and only the young local hero of the day, Bence Bicsak, was able to follow him. 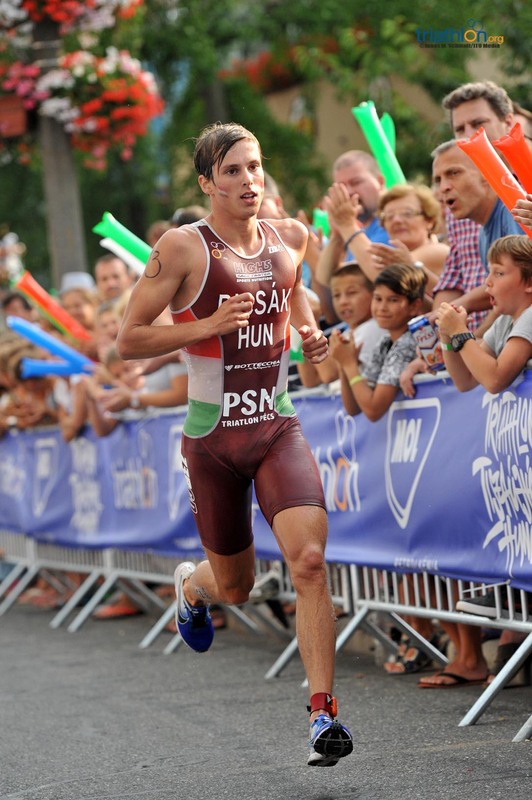 With only two laps to go, and to the delight of the local crowd, Bicsak (yesterdays winner of his semifinal) passed the Russian to run alone for the finish line. 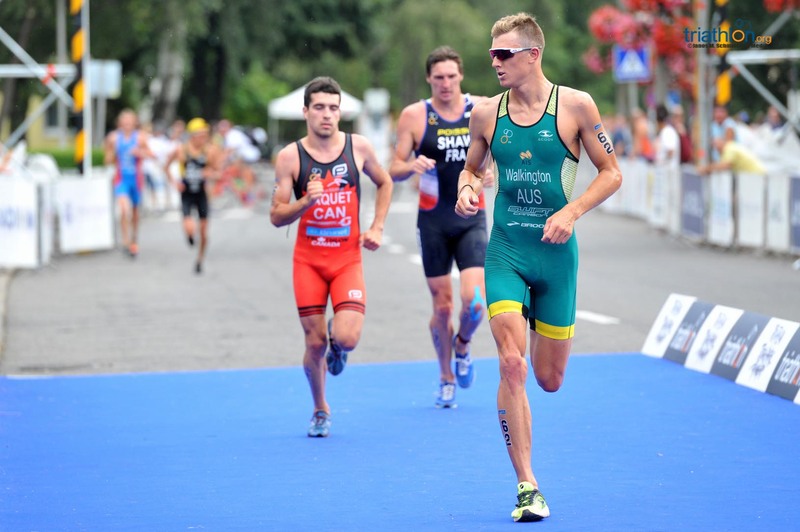 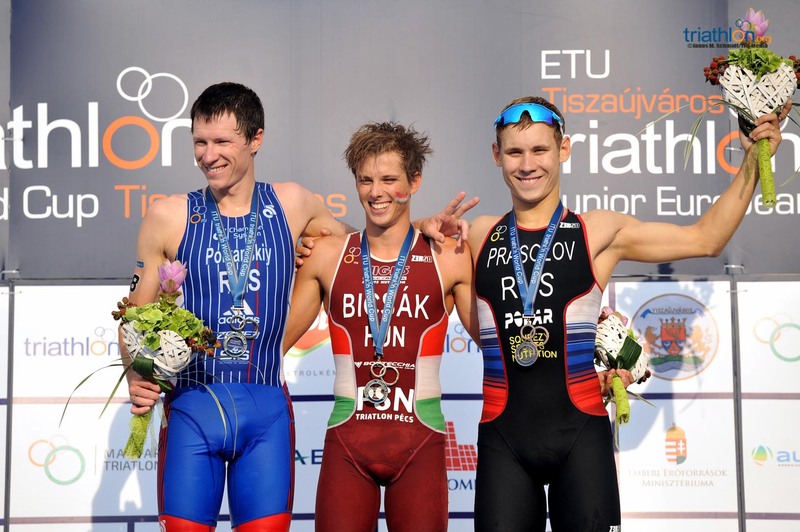 Bicsak claimed his first ever World Cup podium, after claiming bronze last year on the U23 Cozumel Grand Final. 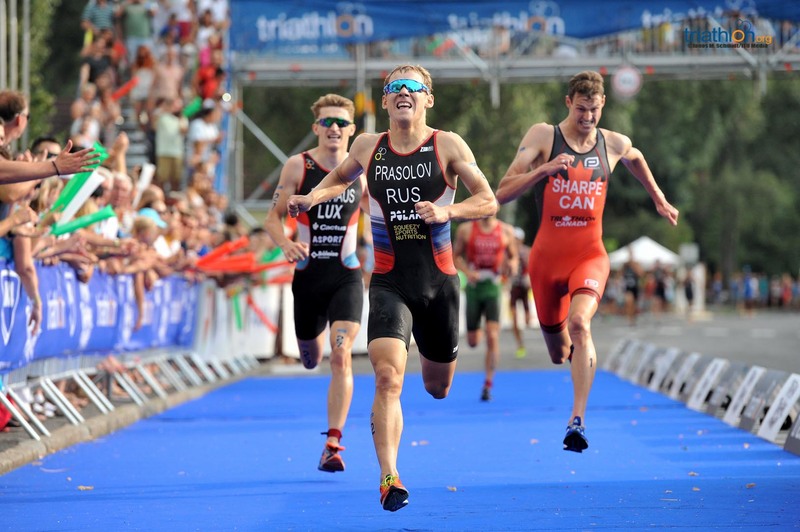 With an explosive, come-from-behind final sprint, bronze was finally for another Russian, Ilya Prasolov, also a newcomer to the World Cup podiums. 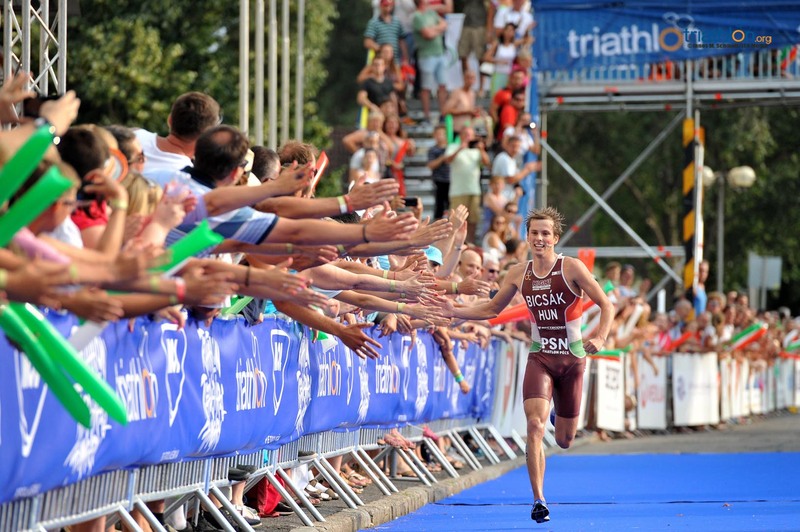 “It’s amazing to win here, in front of all these people. 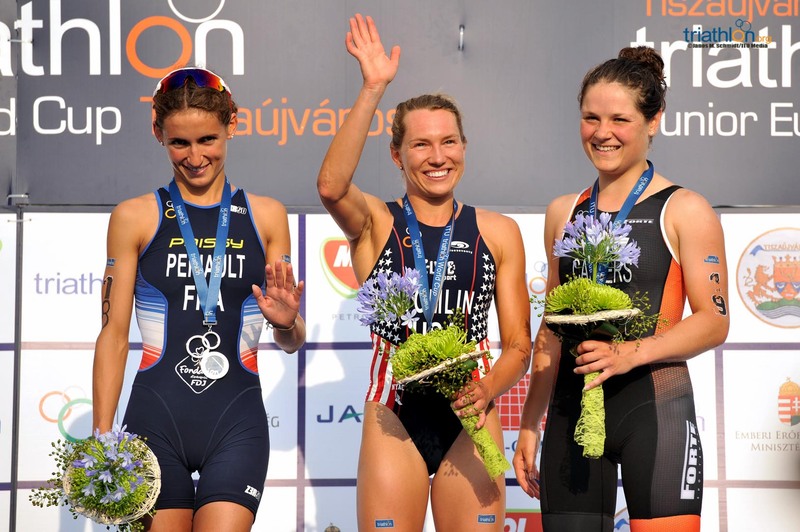 I am so happy! 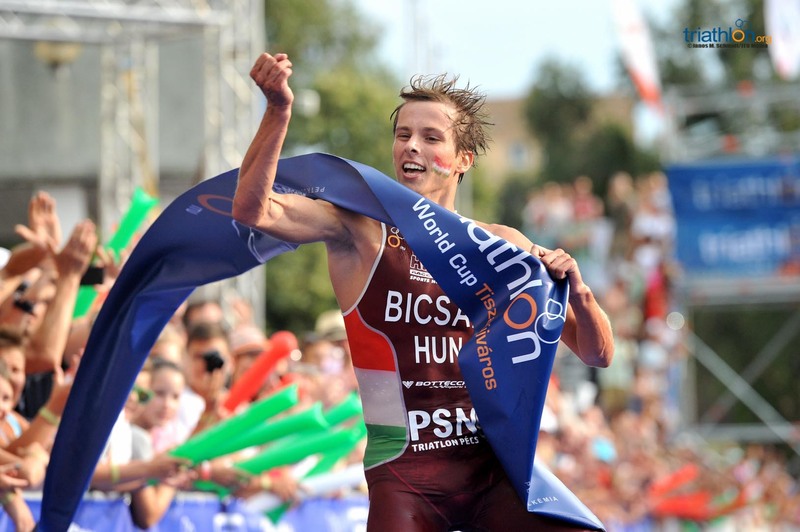 I can’t even express it”, said Bicsak after his win. 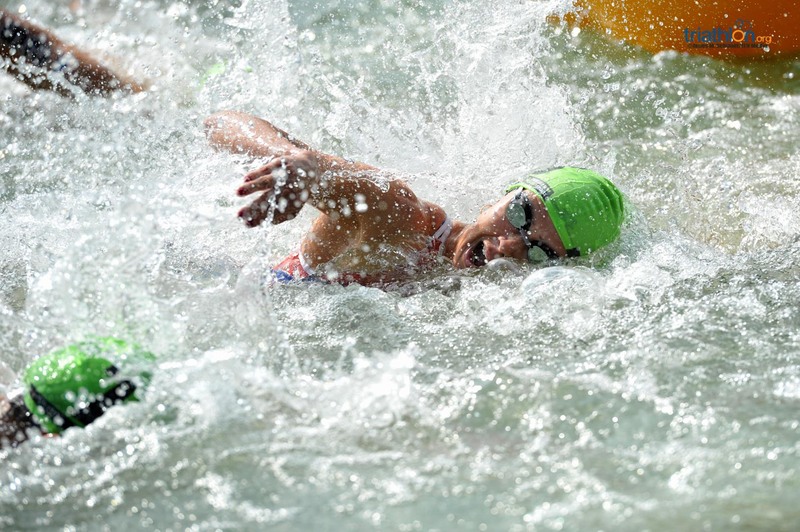 “I worked very hard in the semifinal to get a good start position on the pontoon because here the swim is very hard, but I managed to do it. 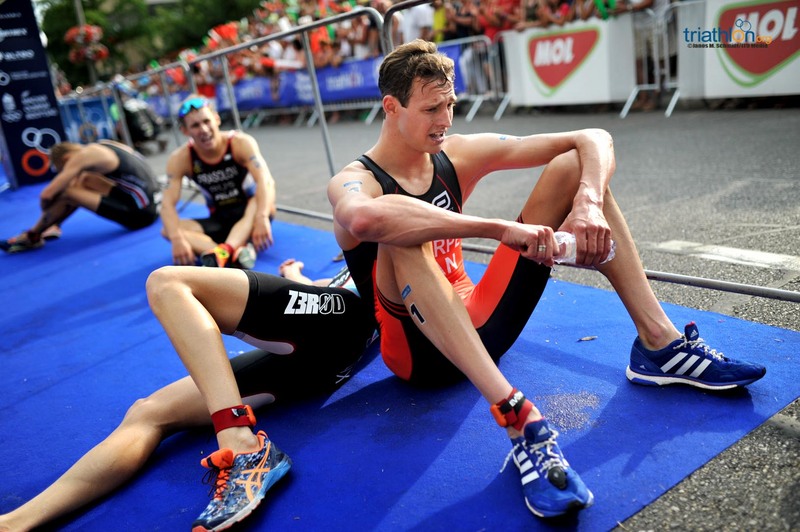 Then, on the run, the first kilometer I was feeling very bad, but I tried to catch Dmitry, the fans helped me there”. 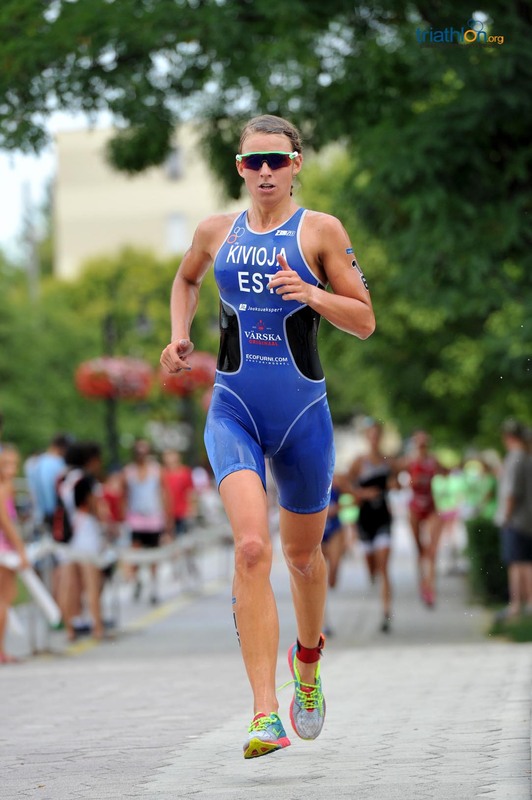 “I am happy with my second place, although it was not a very good day for me. 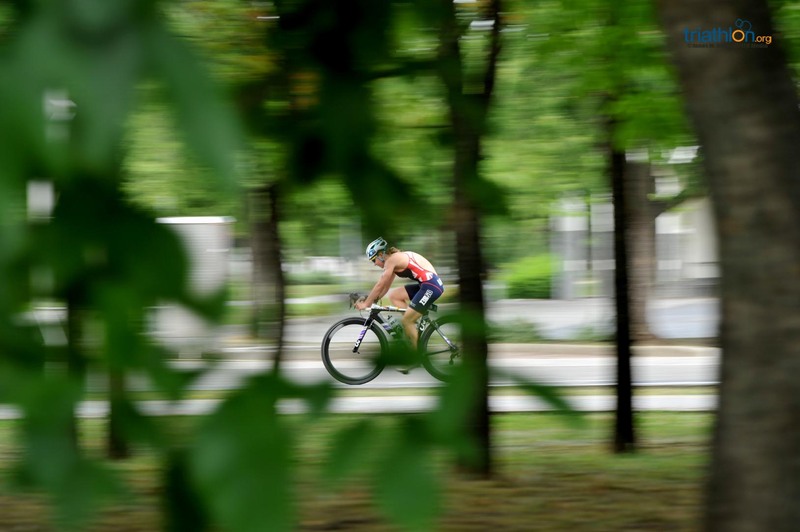 I had a crash on the bike, and since I was on the chase group, I pushed a bit too hard on the first laps of the run, but the Hungarian was really fast. 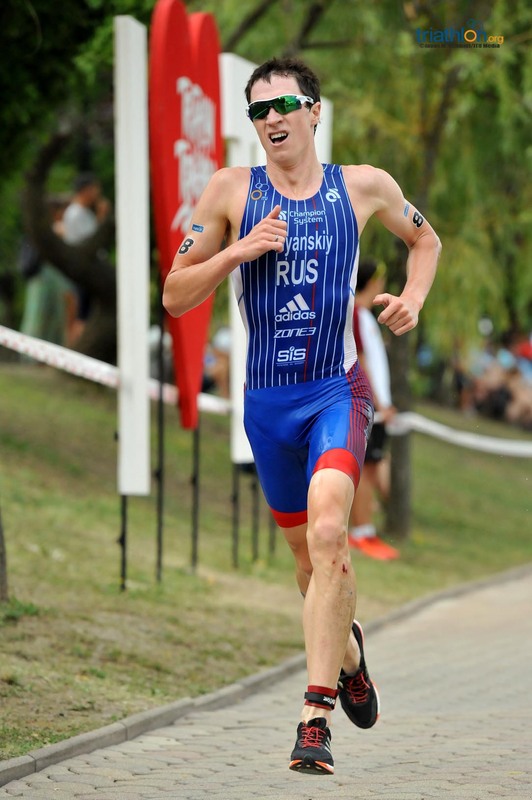 Congratulations to him”, said Polyanskyi.